Crouton is a tool to easily install Ubuntu or Debian in a chroot environment on any Chromebook model. This article explains how to run Linux applications on top of Chrome OS (using Crouton) without running an entire Linux desktop. Using the instructions in this article, you'll be able to open a Linux application in a Chrome OS window, or in a new Chrome browser tab. 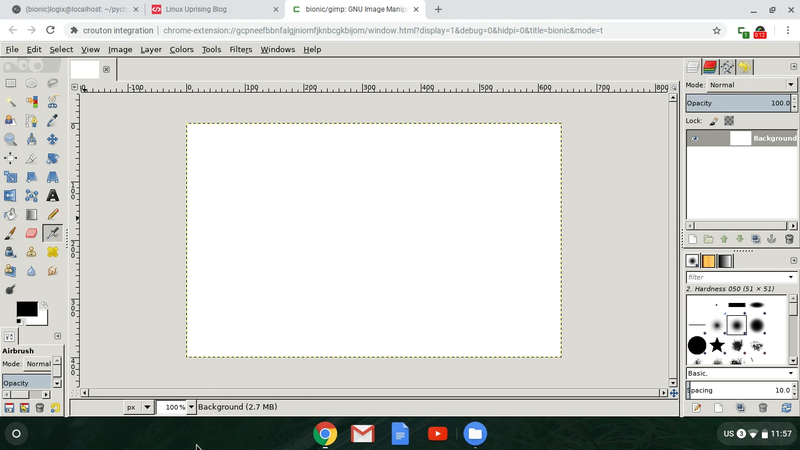 It should be noted that Linux applications running in a Chrome OS window or tab via Crouton are not GPU accelerated. Also, it's best to quit the applications from their File > Quit menu item, and not by closing the window by clicking on the X window button. By using the Quit menu item, the chroot exists properly, and you don't risk losing any settings you may have changed in the app you were using. 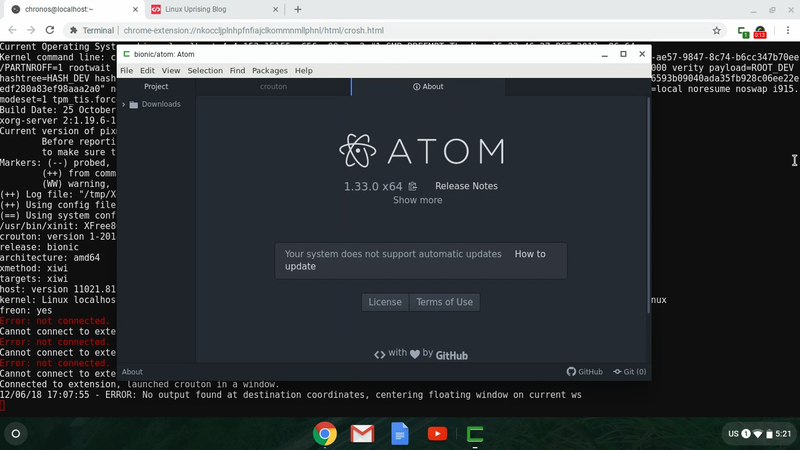 To be able to launch Linux applications in a window on top of Chrome OS, or in a Chrome browser tab, you'll need to install the xiwi target, in case you didn't install it already. You'll also need the Crouton integration extension for Google Chrome. Where chrootname is... the chroot name. This is usually the Ubuntu version codename - xenial by default (Ubuntu 16.04) unless you've specified a different Ubuntu version (like bionic for instance, which corresponds to Ubuntu 18.04 LTS). The Crouton integration extension for Google Chrome is required to be able to use the "xiwi" Crouton target. 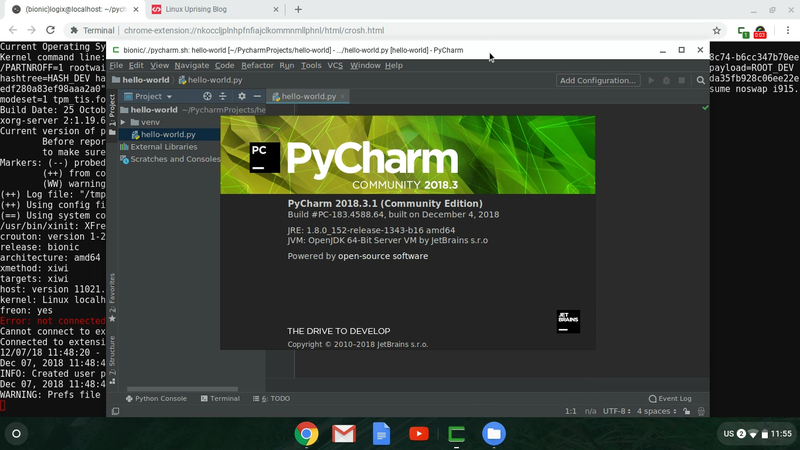 You can download the extension from the Chrome Web Store.